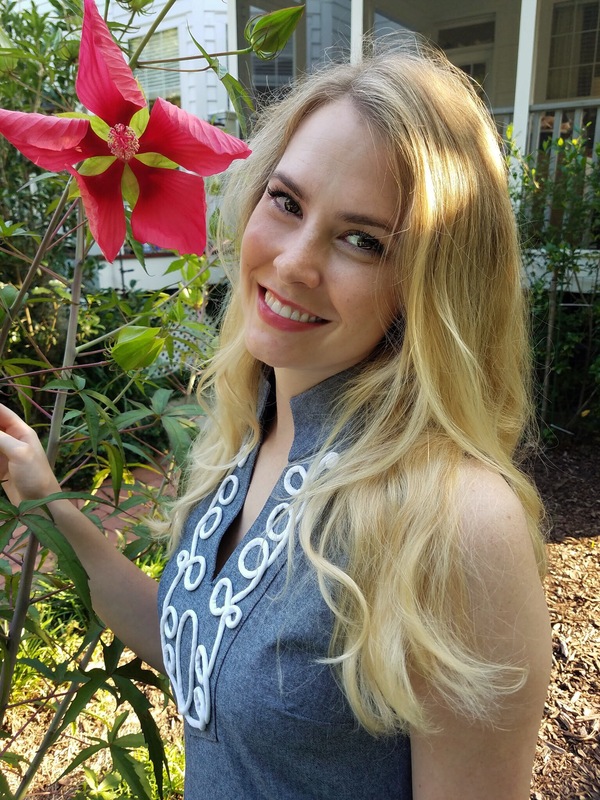 The pattern for this dress came from the book The Tunic Bible by authors Sarah Gunn and Julie Starr. I purchased the book shortly after it was released, but I had such a hard time deciding what tunic to make. I was really stumped as to which neckline to pick as there are 12! That being said, there are an infinite number of tunics that can be made with this pattern as the authors included different bodices, sleeves, lengths, and necklines. The possibilities are endless with this pattern, and not all combinations look like a variation of a tunic, so it is a real wardrobe builder. And there is only one bodice to fit! 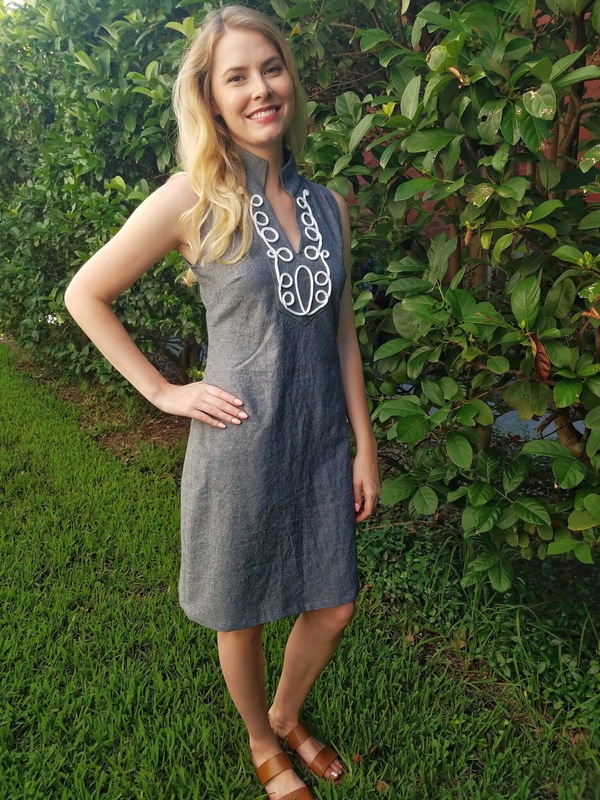 You should checkout @julie_starr on instagram to see her “Tunic a Day” posts to see all the different tunics that have been made with this pattern. You can use a wide variety of fashion fabrics with this pattern, even knits with some modifications as shown in the book. I also love how Julie and Sarah reference popular designers such as Tory Burch in the book for inspiration as it shows how to make such a classic sillouette trendy at the same time. 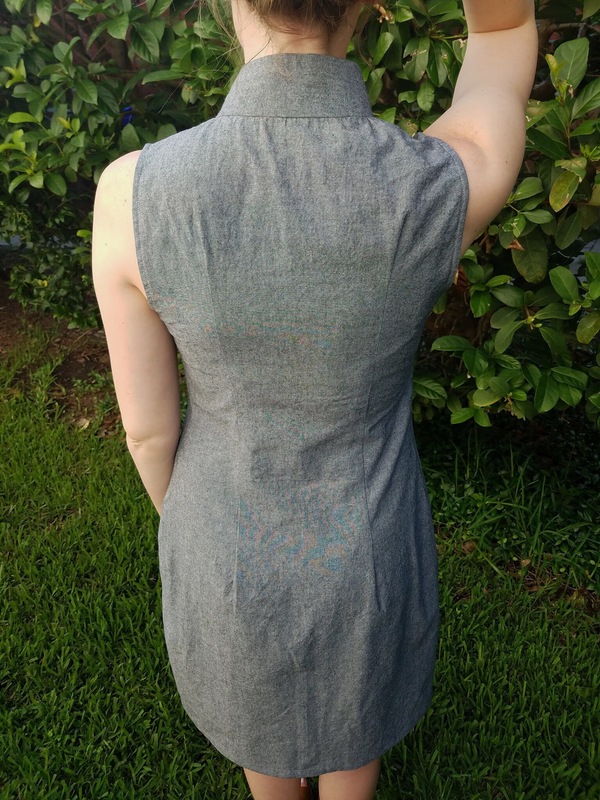 I made an extra small, and made zero pattern adjustments! I can’t believe I didn’t need an FBA or swayback adjustment! There are some drag lines around the bust, which occurred after adding the back darts. I might do some minor tweaking to darts before my next tunic, or I might leave it because they aren’t too bad. And just ignore the edge stitching on the inside of the neckline! It was a result of changing my mind about the neckline placket at the last minute. I used a gray, 100% cotton chambray from fabric.com that wrinkles almost as bad as linen. The trim was inspired by this tutorial about surface cording by the Colette Patterns blog. I basically covered cotton cord with a long tube of white broadcloth then slip stitched it onto my dress in a decorative shape. 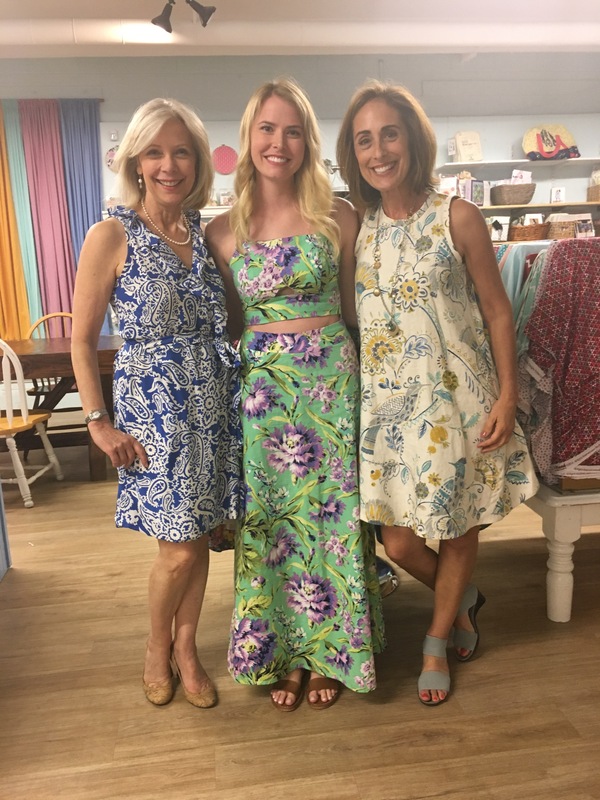 A few weeks ago, I attended an event at Five Eighth Seams, a local fabric store in Charleston, where I got to meet Sarah and Julie when they hosted a sip-and-see of all of their favorite makes. It was so cool to see the clothes from their instagram and blog posts IRL, and I learned some new sewing tips too! Sarah and Julie were both so warm and inviting, and I hope our sewing paths cross again soon. Julie even let me try on her Chanel-style French jacket she made to feel just how luxe the silk charmeuse lining feels! I can’t deny I thought about making everything out of silk charmeuse for the next couple of days. 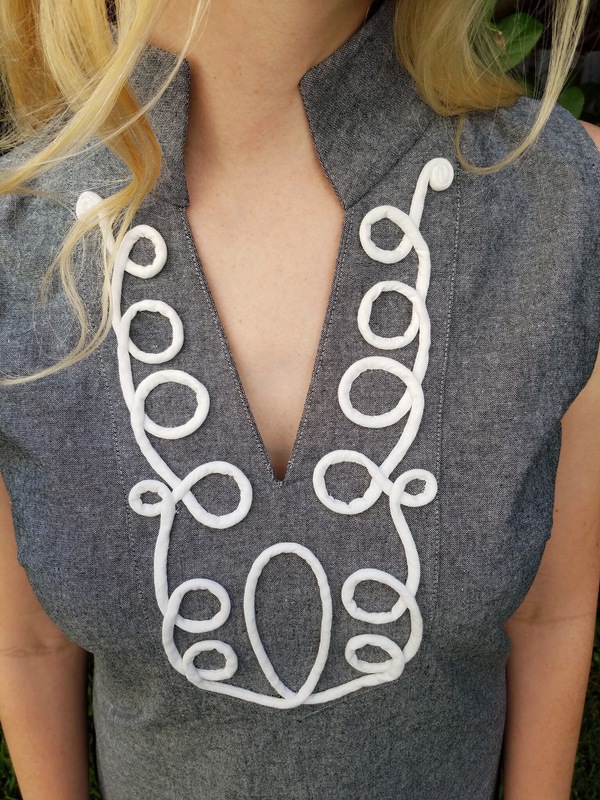 I am already thinking of sewing my next tunic in linen to help me beat the heat this summer! This is such a great pattern, I can see myself using it again and again!